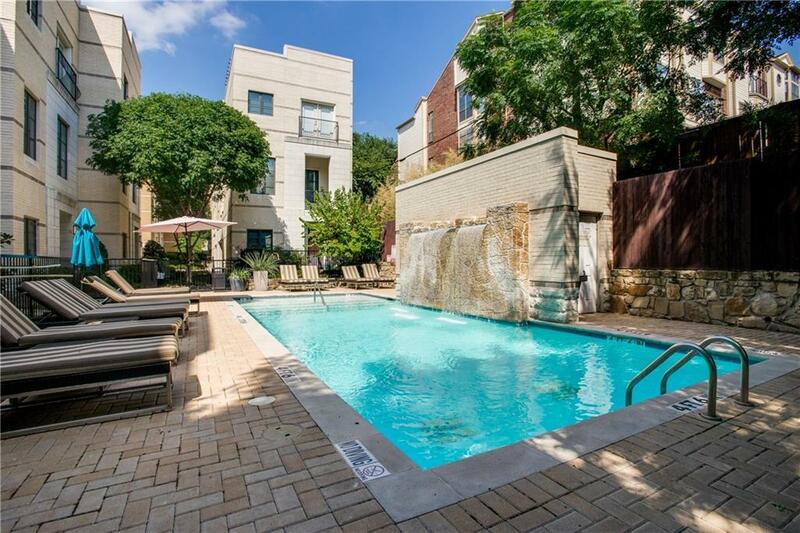 Amazing location in the heart of Uptown!This contemporary 3 story townhome style condo is 2 beds, 2.5 baths with a study and rooftop deck and community pool. Interior includes an open floor plan, updates made to the kitchen with the painted cabinets and the quartz countertops, hardwood & travertine floors, granite, SS appl and 11 ft. ceilings on the main living level & oversized Master Suite. This unit has built in's throughout and a built out rooftop patio with a pergola. This Carlisle facing unit comes with a gated yard and 2 car garage. 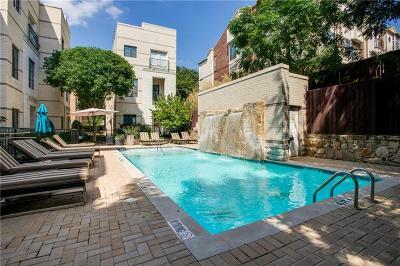 Walking distance to McKinney Ave, West Village, Katy Trail, & the trolley. Enjoy a cocktail on your rooftop deck while looking over Uptown or take a dip in the community pool.